The Semacon S-500 Series Mixed Coin Sorter / Value Counter features an easy to use control panel while offering an extensive array of features and options for a variety of businesses including banks, casinos, retail stores and fund raising organizations. This machine sorts and counts all five U.S. coin denominations simultaneously providing the coin count and value count for each denomination and the total of all denominations. 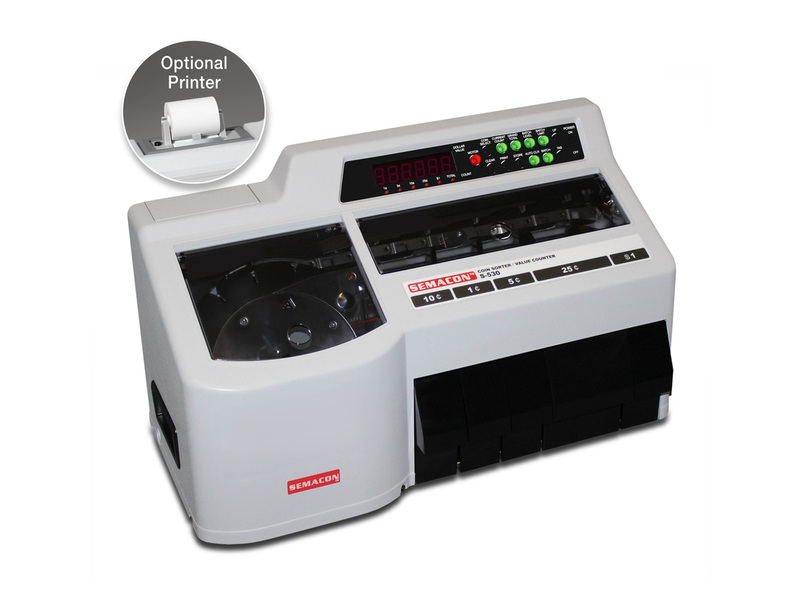 The Semacon S-100 Series Heavy Duty Coin Counters / Sorters offer high speed accuracy in a durable, compact design. Semacon S-100 Series Coin Counters feature a user friendly control panel for setting the coin size with presets for all US coins (other coin size presets available). 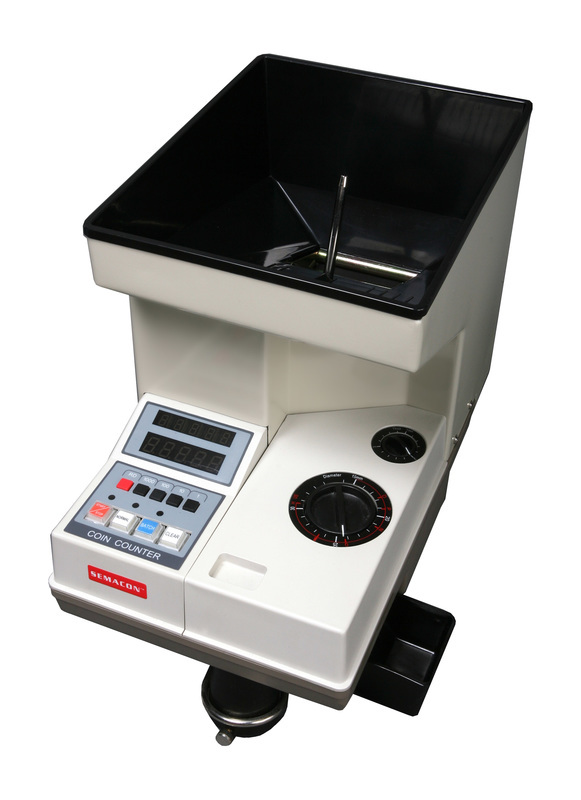 These counters are capable of processing coins at ultra-high speeds yet are quieter than many other coin counters.